Another wonderful year has come to a close, bringing us to the start of a new one. With the ringing in of 2019, we reflect on (some of) the best moments of 2018. Enjoy! It was in December when we were met with brilliant blue skies and sparkling leaves. Courtney was treated to hair and makeup styling by Styled by DaraLyn before this dazzling couple enjoyed a stroll at Shadow Hills Country Club in Junction City, each adorned with a Flowers and Thyme masterpiece. Intimate weddings are uniquely refreshing—and Ron and Kelsee’s was exactly that. They were married at the Hallmark Resort in Newport, sharing their vows before those nearest and dearest to them with the grand sea and sprawling beach as their backdrop. After the final toasts, they stole away for last-light portraits, when this unforgettable moment was captured. This radiant woman is a talented pianist, accompanist, and music director. Emily’s stand-out branding portraits were created at the John G. Shedd Institute for the Arts in downtown Eugene. We were humbled to be recognized again as your favorite photographer in the Eugene/Springfield area. Former Studio Manager, Jacquelyn (left) and Heather Mills (right) pose at the Register Guard’s Reader’s Choice banquet. On a stroll at Graham Oaks Nature Park in Wilsonville for their Engagement Portraits, Chris and Maria shared a magical moment in this dream-like scene. A few months later, we celebrated their union at the Old Schoolhouse wedding venue in Newberg. Addison and Erin traveled to Eugene the year before (see them in our top 20 of 2017) and enjoyed private access to Sweet Cheeks Winery for their Engagement Portraits just after the Willamette Valley received a blanket of snow. In 2018, they asked us to travel to them to capture their wedding day—across the country in Orlando, Florida! Erin spent her getting ready moments at the Reunion Resort with rays of sunlight streaming in from her balcony windows. This Eugene real estate broker came to the studio this year for updated branding portraits. Brandy’s new headshots reflect her professionalism, expertise, and approachability—and we love her style! Exchanging vows on the beach and dancing the night away with their dearest family and friends, Chris and Julia’s intimate wedding on private property in Pacific City was a dream come true. Shortly after saying “I do,” they stole away for some sweet moments alongside the water, with Cape Kiwanda in the distance and a work of art in Julia’s hand by Gypsy Bleu Florals. David and Bekah’s wedding ceremony at the Water Oasis wedding venue in Newberg featured abounding joy. And though this adorable ring bearer had a spotlight moment as he retired from his post mid-ceremony, this couple’s first kiss was one for the books. A South Eugene High School graduating senior wanted something out-of-the-ordinary for his senior portraits to showcase his passion and talent in dance. Now, a Houston Ballet dancer, Nathan and his dance partner, Paige (along with the generous help of Oregon Ballet Academy artistic director, John) took Eugene by storm. From in-studio to downtown below to rooftop high, creating art with these dance artists was unforgettable. 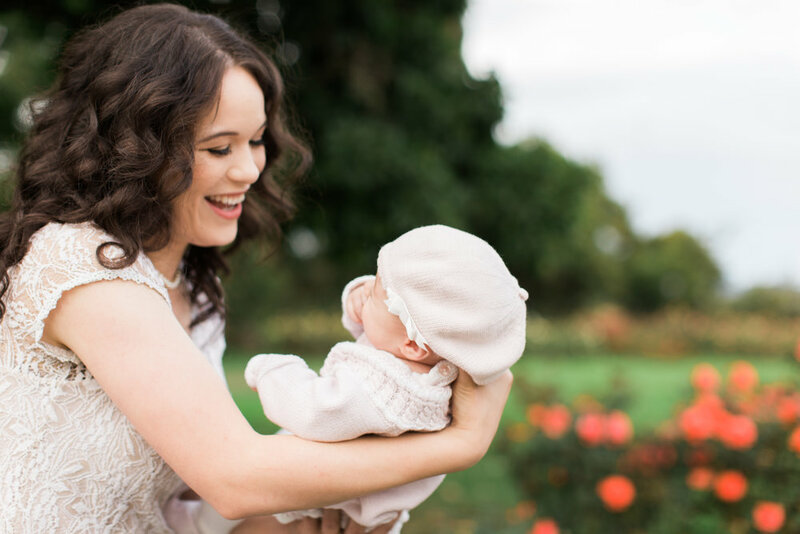 When we were asked to capture these new parents’ first family portraits with their daughter, we were deeply honored. Their legacy session began in the courtyard at Terpening Terrace with Aaron and Andre’s Grandmother, and continued among the fresh blooms at the Owen Rose Garden along the river in Eugene. This attorney’s new professional headshots were the perfect piece to his company’s rebrand. This portrait was created on-site in Michael’s downtown Eugene office. At each client’s consultation, a vision is created. One of the things this high school senior loves is the way the city feels just as the day’s light begins to disappear. After an in-studio portrait experience, we took Jade’s second look downtown to the 5th Street Market, capturing a blue hour moment under a fall sky. Michael and Hannah’s wedding took place at the Downtown Athletic Club in Eugene. Before their grand entrance into the ballroom as Mr. and Mrs., this couple snuck outside for a quick—and extraordinary—kiss. In 2018, along with our year-round boudoir offerings, we created a 5-course boudoir experience for clients to select from. The 3rd course: sheers and fans. From hand painted backdrops created specifically for these sessions to assistants on-site to help tend to the direction and velocity of the fans, they were dynamic and creative sessions—and the other 4 courses (in their own elements) were, too! To see more of those, join us in our private group. With sprawling natural beauty that can be accessed through every season, this passionate and delightful couple chose Mt. Pigah Aroboretum in Eugene as their wedding venue. Along a trail, and just after Sean and Jazzi’s first look took place, these moments were captured. When Jordan contacted Heather Mills to help surprise his beloved—our Studio Manager, Chloe—with a proposal, she was elated and went to work. From a made-up on-site branding session (with a signed contract and all to help keep Chloe from suspecting), to lighting and backdrop gear loading and unloading day-of, Chloe was perplexed to find the ornament she gifted her husband-to-be years ago hanging on the door to the coffee shop where they first met at Northwest Christian University nearby the (faux) on-site branding location. Upon opening the door, Chloe was met with their song being sung and played, and an array of momentos from their years together, displayed for her as she took a trip down memory lane. When Jordan asked her to be his wife, tears were brought to all of our eyes. And likely, when Jordan and Chloe say, “I do” at their wedding this March, we’ll all be crying again. The last image featured here in our 18 of (some of) the best moments of 2018 is also an Instagram #topnine. Our fans loved this image—as do we! This in-studio, in-pool fine art boudoir concept was first created with Kylie and customized for our clients thereafter time and time again. To see more fine art boudoir, join us in our private group. To all of you, THANK YOU for another spectacular year! Cheers to 2018! Thank you, clients, business partners, and friends for voting us as your 1st PLACE - FAVORITE PHOTOGRAPHER in the Eugene/Springfield area! As we step into 2018, we reflect on the year past--and the many moments we have had the honor to be a witness to. A difficult task (as we look through the many galleries! ), here are 20 of (some of) the best moments of 2017, mostly displayed in chronological order. Enjoy! A few short days into 2017, our Willamette Valley was layered in snow. Offering breathtaking views, we took to Sweet Cheeks Winery for Addison and Erin's engagement session and enjoyed the golden hour light in the vineyards and atop their scenic patio. Their wedding in Florida next month will likely provide a different scene! In time for Valentine's Day, several ladies came into the newly opened studio for their boudoir portraits. This black and white with an editorial feel is timeless and captivating--and a favorite of 2017. Several clients have requested their dogs join in during their sessions. This year, we had the special request from Rebekah: to include her precious cat in her Senior Portraits. We were thrilled to customize her session that way! This intimate moment Kevin and Courtney shared during their engagement session in the sun-lit fog is a hands-down highlight of 2017. Family portraits are always lively, dynamic, and highly entertaining--and this family of six came with extra surprises! Having found a romantic connection online, Jordan and Seani waited to see one other for the first time during their portrait consultation. It was a remarkable thing to be witness to! 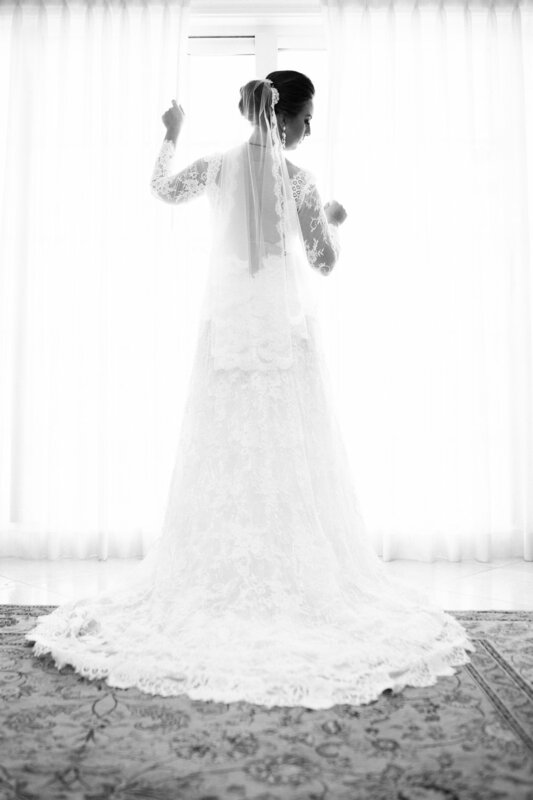 Before wedding season begins each year, we are frequently asked to capture a bride's intimate beauty so her portraits can be lovingly presented to her groom on their wedding day. To us, it is an honor to be entrusted with such a gift. Too, when a dear friend of years past entrusts you with the care of their pregnancy celebration, it is humbling. 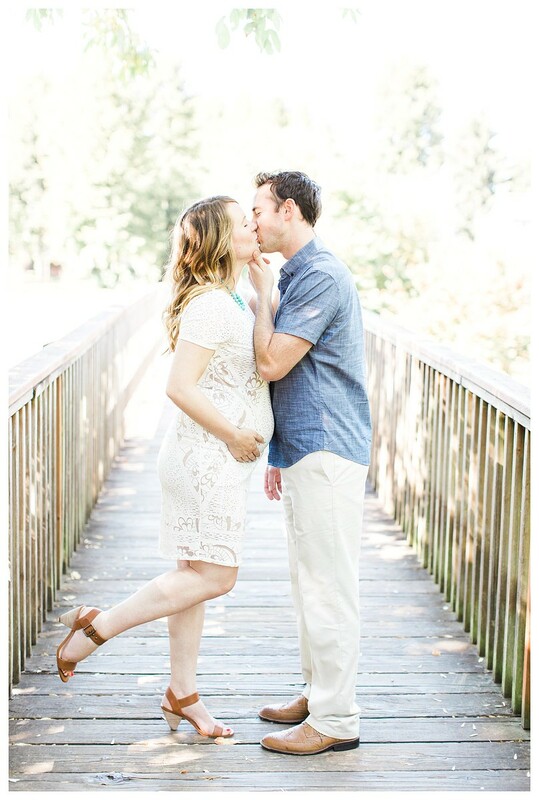 On the day of Cary and Danielle's session, we were somehow gifted with radiant sun, soaked it in, and cherished that along with their love of one another and their son. This image is a result of incredible collaboration with some of the wedding industry's best. The moments shared in culmination are unforgettable--from having to find an entirely new location the morning of the event, taking on several dead-end roads, and more--but all exemplify resilience, dedication, and mastery. And a capture like this is one for the books! Brandon and Devan's wedding at Three Strands Farm was absolutely beautiful! This moment captured at their ceremony site showcases their serene and elegant venue and the delight they have in one another. This wedding celebration at Mt. Pisgah had moments of unrivaled laughter. This capture is a sure favorite of 2017. From a foggy engagement session (see above) to a sun-lit wedding ceremony at Heiser Farms, this couple made our top moments of 2017 twice! Winston, their four-legged fur baby was a delightful guest of honor, and excitedly joined them at the time of their first kiss! This bride's color palate was fantastic! Her bouquet and bridesmaid attire selections were bright and absolutely smile-inducing! The rich greenery here at Log House Garden at Willow Lake made a perfect backdrop for this capture. From mid-day portraits to sunset ones, this couple's intimate moments on the sandy beach at the Pelican Brewery in Pacific City were absolutely dreamy! Our last wedding of the 2017 season took place in Bend on private property. Before the bride met her groom along side the river's edge, she shared sweet moments with the women closest to her in her bridal suite. Zephan's Senior Portraits were designed to showcase his passions in performing art: from music to dance. 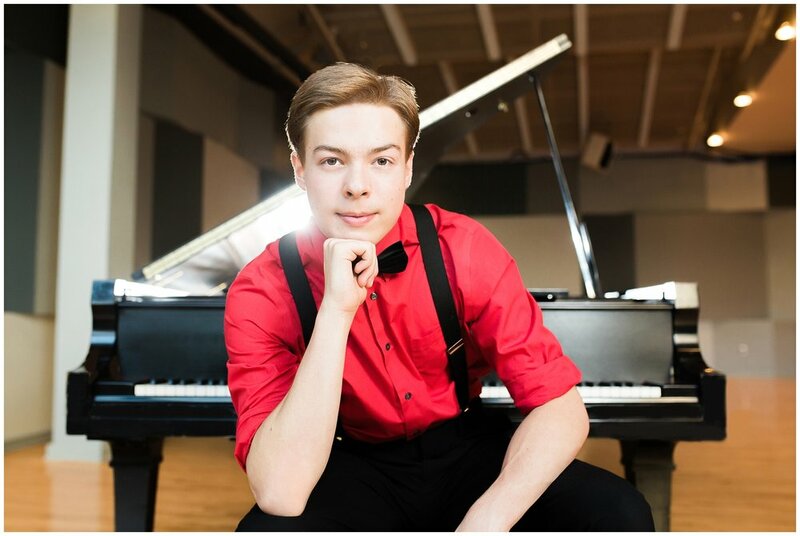 We had the pleasure of private access to a grand piano at the Hult Center for Performing Arts and fantastic weather for his unique outdoor portraits thereafter. You'll find these hard-working, talented physical therapists at Endurance Physical Therapy in Eugene. Their commercial branding session day was a full production and resulted in fantastic individual and group headshots--indoors and out! This year, we hosted two out-of-state boudoir events: one in San Francisco, California and another in Phoenix, Arizona. This radiant woman joined us in Phoenix--and all the way from Little Rock, Arkansas--and we love her smile! With a return to the Pacific Northwest, we joined David and Bekah in Portland for their engagement portraits. This romantic moment was captured at the Pittock Mansion. This family came to the studio for their first family portraits, and second set of children's portraits (having something like 10 years pass between)--just in time for Christmas! As we neared the close of 2017, we had this gorgeous woman in the studio looking to celebrate--and we look forward to having her back in 2018, too! Thank you to all who made 2017 another incredible year at Heather Mills Photography! 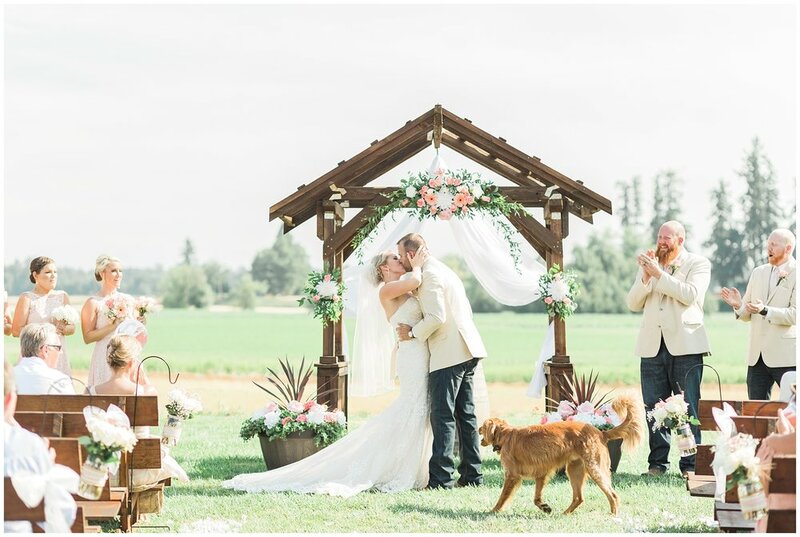 At the serene Three Strands Farm in Lebanon, Oregon, many of Brandon and Devan's dearest family and friends gathered to celebrate their union. It was clear how deeply invested the crowd was for these two saying "I do," and how delighted they were to be witness to this sacred event. With laughter, tears, toasts, and dancing, Brandon and Devan began their lives as one. Clients, partners, and friends: we are overwhelmingly grateful for your support! Thank you for choosing us as your Reader's Choice! Almost a year ago, Stephanie, her sister, their two cousins, and their respective families met together for a secret portrait session to gift images to their extended family. Despite the torrential sideways raining, we captured some incredible moments of laughter and joy--even celebrating one of her cousin's recent engagement from just days before! Most recently, Stephanie contacted me again, and for more celebration: this time, they celebrated her and her husband's soon-to-arrive son. We were met with some glorious sunshine, and together, took a walk at the beautiful Summerlake Park in Tigard, Oregon.